Who’s seen baby milestone cards? They’re the cards that capture significant events in a baby’s first year – each weekly and monthly birthday, that all-important first smile or those initial wobbly Bambi-zombie steps, for example – that you use in a photo of your child taken when each event happens. As well as being cute Insta-fodder and a socially acceptable excuse for some stealth baby spamming, the card / picture combo is also perfect for exhausted parents for whom memory recall might just be a bit, well, cloudy later on (“When did you roll over? Of course I know! I do! Hmmm….oh wait, let me check my photos“). But as developmentally speedy as this time is for babies, the post-birth first six months and year is also pretty busy for parents. It’s packed with significant and slightly smaller mum- memories and milestones, both brilliant and not-so-bad. So why don’t they make these cards for grown-ups, too? Come on marketeers! It’s an idea just crying out to happen. Today I had two hours of broken sleep and was up at 5am…coffee? Ate a meal without having to breastfeed a baby at the same time. 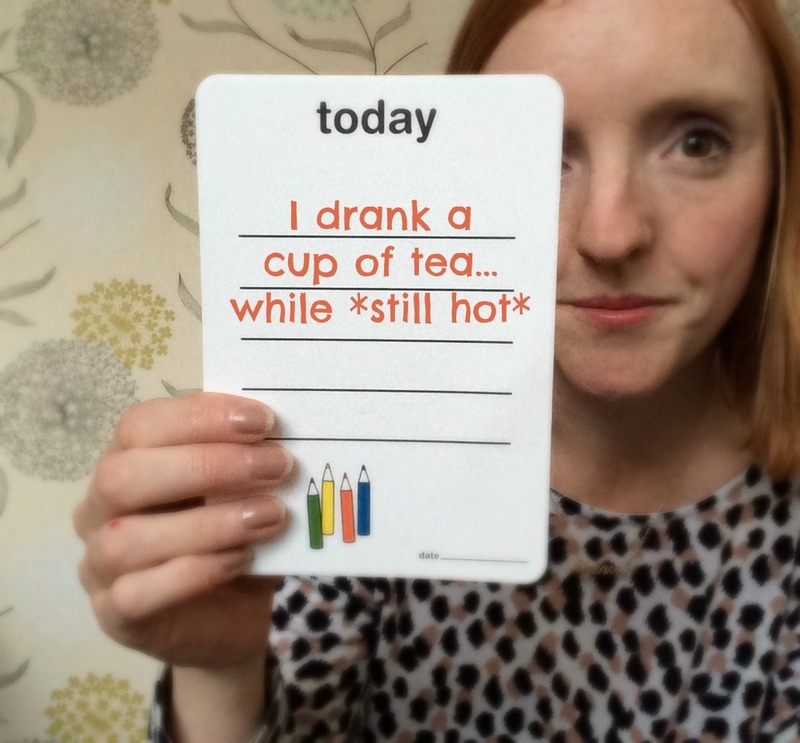 Mine would say … Today I got to go to the toilet all by myself! I washed, dried and straightened my hair today…didn’t happen in the first 6months of second baby’s life! Or I went to the toilet on my own! I would have totally bought these. You need to get them into production!! I think they’d be a big hit! This is such a great idea, I can’t believe no one has done this before!